It is easy and fast to find ads in your state or city in Ireland. The Olympus Dance and Music Academy is offering Acrobatics Gymnastics classes for students all ages and levels. 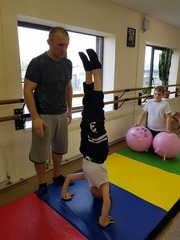 The program is focused specifically on students performing exercises consisting of acrobatic moves and other impressive skills. Acrobatic Gymnastics is a beautiful, dynamic and spectacular sport for both men and women. 16 Years Experience S&A Water Chiller manufacturer Buy Chillers at Factory Price Get Live Quotes Now! https://www.teyuchiller.com/water-chiller-units-cwfl-1500-with-environmental-refrigerant-for-fiber-lasers_p16.html Laser cooling machine CWFL-1500 is the refrigeration type water chiller produced by Guangzhou Teyu Electromechanical Co.
16 Years Experience Fast Delivery, 2 Years Warranty Buy Chillers at Factory Price, Get Live Quotes Now! https://www.teyuchiller.com/laser-cooling-systems-cwfl-1000-with-dual-digital-temperature-controller_p15.html Closed loop water chiller unit CWFL-1000 is specially designed for cooling 1000W fiber laser cutting machine and produced by Guangzhou Teyu Electromechanical Co.
Wholesale Refrigeration Water Chiller, stable refrigeration performance Buy Chillers at Factory Price Get Live Quotes Now! https://www.teyuchiller.com/3w-5w-uv-laser-water-chillers-with-rack-mount-design_p43.html Portable water chiller unit RM 300 is rack mount refrigeration type water chiller, which is specially designed for 3W-5W UV laser. Authentic S&A Water Chiller, Annual Sales Volume 60, 000 Units Buy Chillers at Factory Price, Get Live Quotes Now! Fast Delivery, 2 Years Warranty, ISO, CE, RoSH, REACH approval https://www.teyuchiller.com/recirculating-compressor-water-chillers-cw-5200_p8.html Industrial air cooled chiller CW-5200 is a professional refrigeration type cooling device applicable to cool industrial machines with small heat load. Requirements: We would like to hear from candidates who are: 1. Native English Speakers or Non-native English Speakers 2.Have a recognized EFL qualification (TEFL/TESOL /CELTA) 3.Have a university degree (B.A or above) + Non criminal record 4.Teaching experience preferred but not essential 5.Outgoing, .